Atomic Spectrometry Updates has been fortunate in having some eminent scientists writing for it who have made an important contribution to its success. This page is devoted to the memory of those who have passed away. 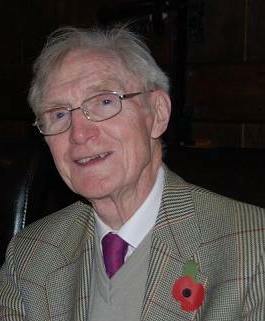 John passed away on Tuesday, 8 July 2014 aged 90. John was an early pioneer in the application of atomic absorption spectrometry to practical analysis through his work at Pye Unicam Ltd in Cambridge. He was on the organising committee of the highly successful International Atomic Spectroscopy Conference in Sheffield, UK in 1969. Nearly 400 delegates with an interest in this emerging technique attended from all over the world. Under John's chairmanship, the Atomic Spectroscopy Group of the Society for Analytical Chemistry looked for ways to utilise the enthusiasm generated by this conference. An important outcome was the setting up of "Annual Reports on Analytical Atomic Spectroscopy", annual reviews published in book form written by authors from around the world. The first edition appeared in 1972. John was Secretary of the Editorial Board and contributed to the reviews. About 10 years later, the production of topical reviews in book form was running into problems and the decision was taken to publish six reviews in a new journal set up the RSC, "Journal of Analytical Atomic Spectrometry". These reviews were called "Atomic Spectrometry Updates" (ASU) and first appeared in 1986. John was not initially involved in ASU but joined later to contribute to the review on "Advances in Atomic Absorption and Fluorescence Spectrometry and Related Techniques" published in 1991. He had been writing for ASU until 2008, when he retired. A special dinner was held to mark his retirement from ASU. Following retirement from Pye Unicam/Philips in 1981, John and his wife Barbara moved to Devon. Barbara died a few years ago. John's death followed an admission to hospital with pneumonia. His funeral was held at All Saints Church, East Budleigh on Friday, 25th July and was attended by representatives of ASU. Members of his string quartet played at the service. Atomic Spectrometry Updates remain grateful for all that John contributed to ASU over the years. On this website, you can read "A history of the origins of Atomic Spectrometry Updates" which he wrote jointly with John Dawson. Dr Phill Goodall, who contributed his specialist knowledge of the nuclear industry to the benefit of ASU for many years, died suddenly following a perforated ulcer on the 6th Jan 2014 aged 54 at Cumberland Infirmary. His funeral was held at Markeaton Crematorium, Derby on Tuesday 21 January. ASU made a donation of £100 to the British Heart Foundation, in memory of Phill. One of ASU's longest-serving members, Dr Allan Ure, sadly died on 18th December 2005 aged 81. Allan served ASU (and its predecessor, ARAAS) as a writer, its treasurer and more recently, a referee. His speciality was the fractionation of soils and sediments, which he developed at the Macaulay Institute for Soil Research in Aberdeen for 38 years until his first retirement. He then began a new career as a part-time lecturer in environmental science at the University of Strathclyde, Glasgow, continuing his research interest for a further 9 years. A full obituary can be found here..
Atomic Spectrometry Updates lost another of its long-serving members, Professor John Dawson, who died on the 13th April 2006 aged 77. Trained as a physicist, John joined the Department of Medical Physics at the University of Leeds initially as a Postdoctoral Fellow. He saw the potential of Walsh's work in Australia with atomic absorption spectrometry (AAS) and became a pioneer of AAS in the UK particularly seeing its relevance to the analysis of clinical samples for metals. He played a leading role in the organisation of the highly successful International Atomic Absorption Spectroscopy Conference held in Sheffield in 1969. The enthusiasm from this meeting led to "Annual Reports on Analytical Atomic Spectrometry (ARAAS)" with John as Chairman. John continued his involvement when ARAAS became ASU and, most recently, he was the referee for the Update on Clinical and Biological Materials, Foods and Beverages. His pertinent comments were most useful to the writers in this group. He eventually became Acting Head of Medical Physics. Following his retirement in 1989, he had an honorary appointment at UMIST which allowed him to continue his research interest until failing health reduced his ability to travel. A more extensive obituary appeared on the Yorkshire Post website.